By Harry Dacres-Dixon in News and Views, Uncategorized on 31st January 2019 . In June 2018 the Company listed on The London Stock Exchange helping it to attract further investment to build out our business within China itself; the company’s current footprint in China represents less than 5% of the market there. The digital signage market globally is expected to reach almost $30bn by 2024, compared to approximately $15bn in 2015. We believe that this growth will be driven not only by new, higher resolution displays and new types of technology, but also by integrating digital displays with customers’ smart phones. CJ CGV is the largest multiplex cinema chain in South Korea with branches in China, Indonesia, Myanmar, Turkey, Vietnam and the US. It operates 3,412 screens at 455 locations in seven countries including 1,111 screens at 149 locations in South Korea. CJ CGV introduced the first multiplex theatres in South Korea, and the company has been developing what it calls “cultureplex”, a space where eateries, performance halls, shops and multiplex theatres come together to provide a richer cultural experience to consumers, CGV Cheongdam Cine City, which opened in 2011 being an example. 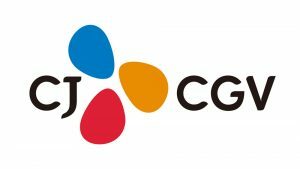 CJ CGV listed on the Korean Stock Exchange in December 2004. It is the first listed theatre chain in Korea.